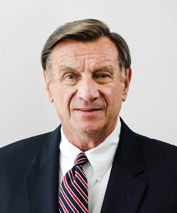 Frank S. Ioppolo Sr. | Ioppolo Law Group, PLLC. With extensive, in depth experience in the business and legal worlds, Frank S. Ioppolo Sr. brings a virtually unique range of perspectives to the roles of business executive, board member, lawyer, business consultant and mediator. As Executive Vice President of Business Affairs and General Counsel for the Walt Disney Company’s Worldwide Theme Parks and Resorts segment for over 12 years (until his retirement from Disney in January 2002), he built and led a staff of over one hundred, including two dozen attorneys, and the Environmental Affairs Division, representing Walt Disney World, Disney Vacation Club, Disney Cruise Line, Celebration, Disney Travel Company and various other Disney parks and hotel entities in the full range of legal issues affecting their diverse businesses, including all commercial transactions, real estate transactions, construction contracting, time sharing, entertainment, sports, cruise line, transportation, regulatory compliance, intellectual property protection, workers compensation, litigation, etc. Serving from the outset as a member of the Walt Disney World Executive Committee and, upon its establishment, the 12 member Steering Committee, he also played an important role in the vision and planning for Disney’s theme parks, resorts and related businesses, often serving as chief negotiator to execute key aspects of the Company’s plans to establish new businesses such as Disney Vacation Club, Celebration, Disneyland Paris, Disney’s California Adventure, Disney’s Wide World of Sports, Shades of Green at Walt Disney World (the Armed Forces recreation resort), Disney Cruise Line (where he was also a member of the Board of Directors), including the acquisition of the Cruise Line’s private island in the Bahamas and the negotiations with the Bahamian government to establish the Cruise Line’s Bahamian presence, and redevelopment of the New Amsterdam Theatre on 42nd Street in New York City, one of the most successful public/private partnerships in the country. Prior to joining Disney in 1989, Mr. Ioppolo was a Wall Street lawyer for over 20 years who, as a senior partner at the Donovan Leisure firm, practiced both as a business transaction attorney and business negotiator, and as a litigator, representing clients in both the private and public sectors (e.g., major developers, banks, investment bankers and Fortune 500 companies such as The Walt Disney Company; and HUD, New York State, New York City and numerous other governmental entities) in a variety of real estate development and other business transactions, domestic and international, running the gamut from acquisition, leasing, construction, finance, public/private partnerships, joint ventures, and tax advantaged real estate investment to workouts, construction contracts/litigation and mortgage foreclosure. In short, an individual who brings to bear extensive experience both as a senior business executive with a broad management vision and planning involvement, and as General Counsel with overall responsibility for the legal affairs of the $5 billion leader in the tourism/theme park and hotel industry; who also functioned as the chief negotiator in the establishment of new Disney businesses, both domestically and abroad, and as the leader of Disney’s Environmental Affairs division in Florida—a unique variety of experience and perspectives captured in a single, hands-on executive/lawyer and leader who authored and negotiated some of the most visionary and successful public/private partnerships.